Prepare yourselves! The media and the public utterly underestimate the titanic catastrophe about to pulverize the Trump criminal empire from top to bottom. Allen Weisselberg is the accountant in the train station in who brings down Al Capone, the canary in the saturated coal mine, the finger removed from the Dutch dike, the first splitting plutonium atom in an atomic bomb. For over thirty years, Trump has been an international criminal and con man, defrauding banks and governments, helping despots loot their own treasuries, in partnership with major drug traffickers, laundering both domestic and foreign mob money and committing virtually every kind of fraud, cheat and swindle possible, on a global scale. 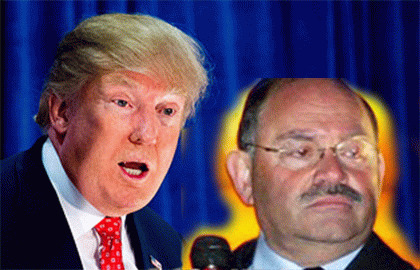 And Weisselberg has been there for it all. That Trump is a malignant narcissist, pathological liar, bully and abuser of women is simply the character profile required for his true calling. If Michael Cohen knows where all the bodies are buried, Weisselberg is the funeral director, the undertaker and the groundskeeper. He is the clearinghouse for everything the Trump campaign did, everything the Trump Organization does, everything the Trump Foundation and family does, for all the phony shell companies, the corrupt real-estate deals, the Russian buyouts, the mysterious all-cash golf-course purchases. The payoffs to women are the very least of it. If Mueller capitalizes on this SDNY treasure trove that could result in hundreds of years of charges, we are soon to learn just how completely he is owned by Putin and his oligarchs, and the lame word collusion won't begin to describe it. A Lover of Truth in a dying world of Lies.